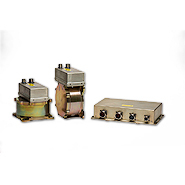 For over 90 years, LORD has led the way in developing vibration, motion and noise control solutions for the Aerospace and Defense industry. We strive to provide service solutions to commercial fixed wing, commercial rotary wing and military customers worldwide. 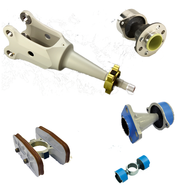 As a trusted supplier in aerospace's Fixed Wing industry, LORD is expanding on our strong history of vibration and motion control products. 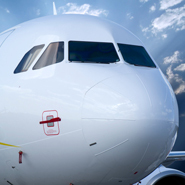 We manage the unique challenges of noise, vibration and weight in flight-critical components and systems. 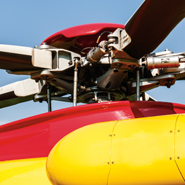 In the Rotary Wing industry, managing noise, vibration and weight is critical to flight. We partner with rotary wing customers to provide components and systems with technologically-advanced, trustworthy systems that extend the life of a helicopter. Our MRO services team keeps customers flying. Our repair station (GV1R180K) is co-located within the LORD factory and supports complex aviation elastomeric parts such as helicopter rotor components and aircraft engine isolator assemblies. We also provide PMA and STC solutions.